Led by docents Andrea Snyder and Hannah Slovin. In My Father’s Paradise, journalist Ariel Sabar has crafted a fascinating and moving account of both the Jews of Kurdistan and of his relationship with his father. Sabar embarks on this personal journey of reconstructing his father’s life and history when he himself becomes a father to a son. Sabar’s father, Yona Sabar, is a professor specializing in Aramaic at UCLA, one of the few people alive today for whom Aramaic is the mother tongue. 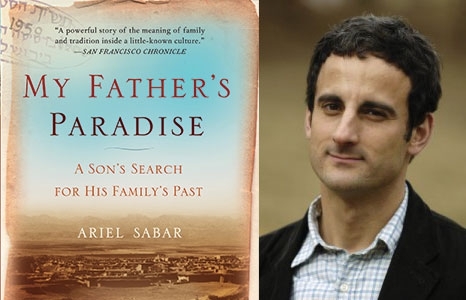 Growing up in Los Angeles, Sabar (the son) was acutely aware of how different his immigrant father was from the American fathers of his friends. For many years father and son were distant, with much about the father inexplicable to the son. Eventually Sabar decides to take time from his journalism career and explore the history and culture that made his father who he is. About: Join the Book Club—a docent-led two-hour experience—to understand the collection in new ways and make new friends. Books are selected to connect with the museum’s galleries and specific works of art. Read the book and discuss with fellow readers. The Book Club meets on the last Saturday and Wednesday of the month from 1 to 3pm. Admission: Free with museum admission. RSVP required.